TMG is a progressive marketing services network. It floated on the Nasdaq First North in June 2016 and by the end of the year, it had acquired 16 agencies, globally. TMG aims to fill a significant niche between the big holding companies and the smaller independent agencies. By structuring itself in a more progressive and modern way, TMG is able to attract top quality agencies who do not wish to “sell out” to the usual suspects. Addiction Advertising is a multi-award-winning advertising agency based in Singapore with a reputation for successfully solving complex advertising and brand awareness challenges. The team prides itself on its originality, innovation and creativity to help fulfill clients’ briefs with flair and precision. Addiction Advertising’s work is recognized by the industry through numerous prestigious awards. Black Marketing is TMG's premium, personalized, boutique B2B marketing consultancy. The company specializes in social media marketing through LinkedIn and creates value to businesses by enhancing personal brand. More specifically, it creates and manages the LinkedIn pages of companies. It also engages in ghost blogging on LinkedIn as one of its services and has proved itself as a key player in B2B content marketing strategies. Black Marketing wins its clients new business on LinkedIn; the world’s Premier B2B Social Media Platform. Channelzero is TMG's creative brand agency, providing high-level strategic thinking and creativity to global brands. Based in Sydney, Channelzero is the only marketing business in Australia that directly connects brands to grocery buyers with an end-to-end solution that includes packaging and positioning and sales and supply chain management alongside core creative brand strategy. Channelzero also know that a campaign cannot simply be beautiful. It must be strategic, considered and driven towards a sales outcome. Channelzero play a direct and measurable role in delivering these results. And as a result, they are trusted to change results for leading brands. A few of their awesome and valued clients include Sanitarium, Nestle Professional, News Limited, Rio Tinto, Gloria Jean’s Coffees, Vidal Sassoon, Adrenalin, EB Games, Nudie, Sanity and Volkswagen. Clickverta is TMG's 360 degree inbound marketing agency. The agency works with disruptive B2B service companies who are looking for more stability around their revenue and profit. 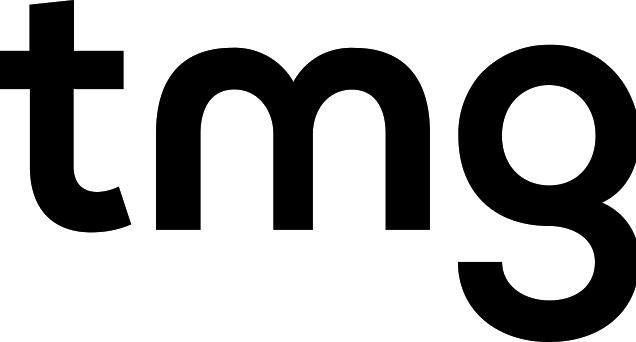 DAE is TMG's proud, award-winning communications agency, dedicated to helping brands achieve fuller and richer connections to the fast-growing and ever-evolving Asian American market and beyond. DAE is committed to creating work that is meaningful to the businesses and communities we serve. Through an Asian American perspective, they deliver keen insights and fresh ideas to provide innovative, powerful, culturally relevant solutions that inspire people to take action. Digital Virtue is TMG's agency for website design, website development, and digital marketing. From brand, to online, to mobile, Digital Virtue has 16 years' experience in delivering first class digital marketing solutions across a variety of business sectors. Insurgence is TMG's 360° creative solutions agency. They are experience-makers who bring brands to life. From B2B & B2C creative consultancy services to creating bespoke integrated campaigns, they will support you at every step from conceptualization to execution. Marker Studio is TMG's digital product development agency. They specialize in creating enterprise-quality web, cloud, tablet and mobile apps that fundamentally support, strengthen or enhance clients’ product and service offerings. hese are typically manifested as: HTML5 responsive web apps (i.e. web applications you can access using desktop, tablet and mobile browsers), iOS apps for iPhone and iPad, Android apps for phone and tablet and supporting services and infrastructure, such as cloud services, APIs, and Content Management Systems. Marker Limited’s service offering spans the entire product development lifecycle, from strategy development, ideation, product research and validation, through to development, and post-launch additions, enhancements and support. Nice & Polite is TMG's full service production company and creative agency. They combine a disciplined and exciting roster of talent with an in-house production team and handful of creative minds to realize your brief – from idea inception through to delivery. Working across a range of disciplines, they create moving image for promos, commercials and TV & Film while also offering a full-service campaign design team – they can take any brief, working directly with you on the budget, creative and production process – and deliver a story which understands your message. One9ninety is TMG's full service social media agency, with the mission to market brands on the social web using technology, data, word of mouth, creativity and community. From social strategy to daily content and campaign execution, their dedicated team has partnered with over 60 of the most reputable brands and customers across Asia Pacific. They deliver services in Singapore, Malaysia, Indonesia, India, Philippines, Hong Kong and Taiwan, and work with local partners in Thailand, China, Japan and Korea. Rainmakers is TMG's fully-accredited independent media agency, offering tailored solutions for clients, through maximization of every dollar assigned to the task across all media. Media includes television, radio, print, digital, out of home and various niche media that Rainmakers evaluates on a case by case basis. Place-through business is now a major part of Rainmakers and accounts for approximately 40% of turnover. With strong television billings, Rainmakers invests in the full suite of industry software programs including Nielsen Research, Pegasus & TVMap. Rainmakers practices Collective Intelligence. TMG's Slingshot Sponsorship helps some of the world’s most forward-thinking organizations create sustainable sponsorship platforms that attract global brands. Slingshot Sponsorship is not industry specific, enabling individuals to tap into best practice across all sectors including media, events, festivals, sports and charities. Slingshot Sponsorship sees value others miss – creating brand assets that not only restructure commercial platforms but amplify clients’ business objectives. They are innovative in their approach and creative in their execution ensuring that propositions guarantee engagement. Despite an increasingly connected world there remains a disconnect between rights holders, brands and audiences. Slingshot Sponsorship helps individuals create and optimize commercial partnerships that take experiences far beyond the event itself whilst driving significant revenue streams. The Brand Theatre Worldwide is TMG's holistic brand consultancy. Their vision is to transform businesses through brand strategy, internal branding & branded customer experience to achieve high level performance and growth both internally and externally. They have delivered end-to-end branding solutions for B2C, B2B, and Government organizations, with sizes ranging from SME to global multinational companies. Their extensive experience has helped organizations to bring their brand experience to the next level through research, strategy development, brand communication & execution, internal branding, and customer experience strategy. TMG's The Lead Generation Company develops, implements and manages phone-based and digital lead generation activities for businesses looking to increase brand awareness and increase new business opportunities. They have over a decade of experience in not only generating quality leads for businesses but also providing complete solutions to enhance your organizations marketing strategies so your message is delivered to the relevant decision makers at the right time. Truth is TMG’s global media planning and buying offering. Truth offers a client centric way of briefing, planning, buying and delivering all types media. Truth offersa transparent single view of campaigns – delivering the right consumers, in the right environments at the right budget. Truth utilizes blockchain technology, and operates under a single fully disclosed fee and your advertising spend will reach their intended destinations fully intact.